In today’s rumor rundown the Washington Capitals appear to be shopping one of their forwards but don’t want draft picks or prospects in return, the Philadelphia Flyers are losing so often that waiting may not be an option when it comes time to making changes and there is an update on the outlook of St. Louis trading Vladimir Tarasenko. 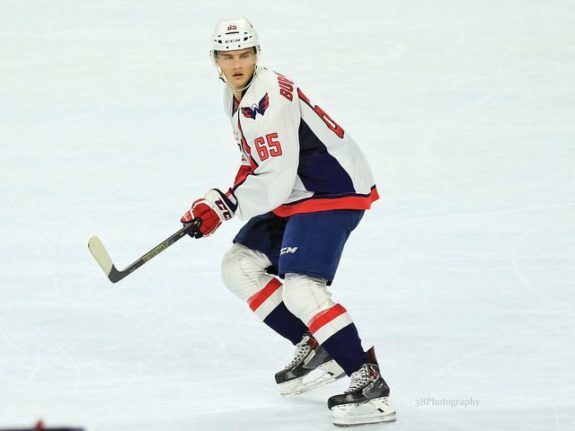 Chris Johnston said on Sportsnet’s Saturday Headlines that the Washington Capitals could be looking to trade forward Andre Burakovsky. In 29 games this season, Burakovsky has five goals and three assists for eight points. He carries a $3 million cap hit until the end of this season. Johnston says the Vancouver Canucks could be an interested team. Johnston details the situation to say, “Andre Burakovsky, the talented Washington Capitals winger who has fallen a little out of favour and has had a little trouble with ice time – tonight he’s sitting out his third straight game as a healthy scratch.” Johnston said his name is out there in the trade market but Elliotte Friedman added that if the Capitals are to trade Burkovsky, they’ll want someone that can help them immediately. 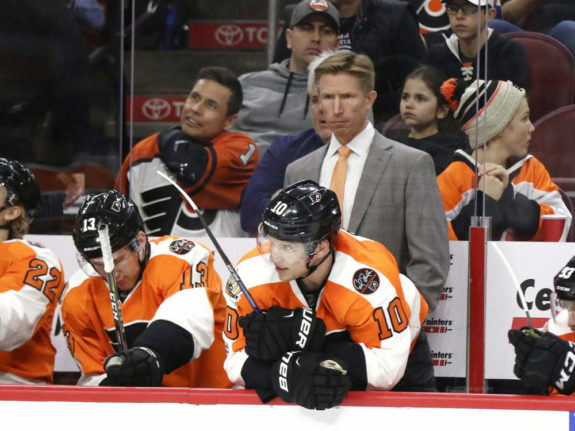 During that same Headlines segment, Chris Johnston noted there could be more changes in Philadelphia and GM Chuck Fletcher could be forced to make a change with regards to head coach Dave Hakstol. Johnston mentioned that the Flyers wanted to be patient but they may not be able to with how badly the team is currently performing. They lost again on Saturday in a 5-1 drubbing at the hands of the Canucks. This could also lead to some player changes as most opposing GM’s already know that Fletcher is looking to make trades before the trade freeze on December 19th. 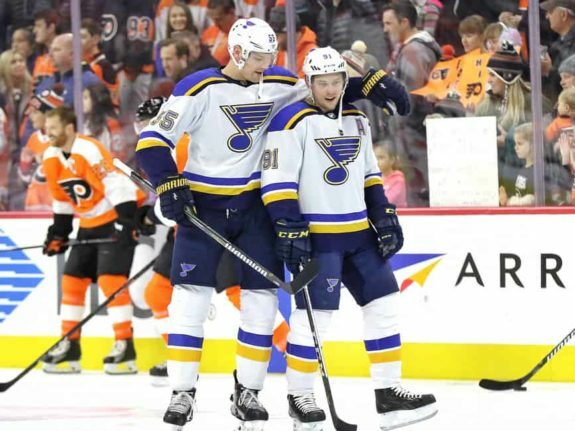 After dropping the bomb last Saturday that Alex Pietrangelo might be moved out of St. Louis, Ron MacLean went back to Nick Kypreos during the Headlines segment on Sportsnet for more on the Blues, namely St. Louis Blues forward Vladimir Tarasenko. Friedman interjected during the segment to say he too believes Carolina is an interesting team to watch when it comes to Tarasenko. Meanwhile, the rest of the league continues to inquire about other Blues players like Colton Parayko. Edmonton Oilers Looking for a Defenseman? The Edmonton Oilers have lost defenseman Oscar Klefbom for six to eight weeks with multiple breaks in his hand and a surgery that was required this weekend to repair one of the broken fingers he suffered blocking a shot. This could mean the Oilers will be in the market for a defenseman. In the meantime, Darnell Nurse has stepped up and filled in nicely. If he continues to play well, it may mean the urgency to trade for a d-man is not as great. That said, the Oilers are also down Kris Russell.